Warblers are some of the smallest birds found on the North American continent. They are known for their long migrations, traveling from South America and the West Indies to the northern regions of Canada and back again. These small jittery birds hardly ever stop moving, almost always hopping from branch to branch, scurrying along the tree trunks and limbs. There are others who live on the ground, hidden in the undergrowths, where you may only hear their songs and not see the birds that are actually singing them. Warblers come in a wide variety of colours. Without the aid of binoculars or a birding scope, these very attractive birds will appear dark and uniform. 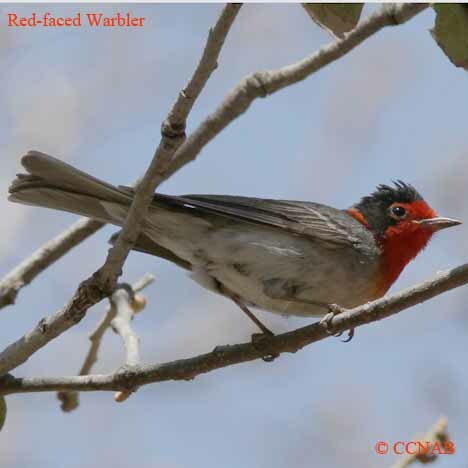 The best time to find warblers is in the springtime when they are on their nesting grounds. The male warblers can be identified and located by their songs, most times perched in an open area to be seen by mates and other male competitors.